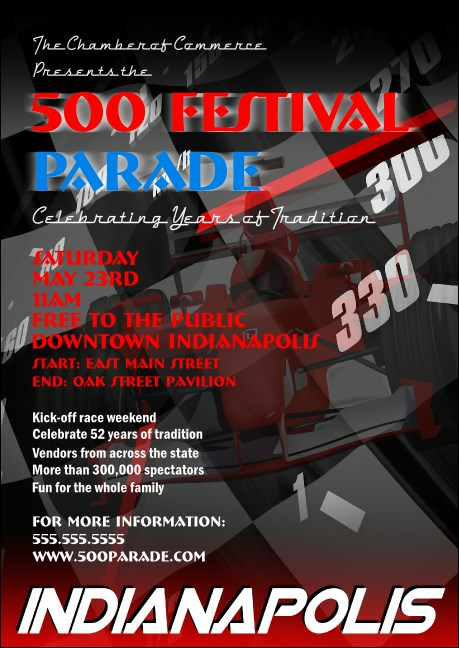 For an event as full as the stands at the Indy 500 start by creating a buzz with the colorful Indianapolis Postcard! Your information and custom image share space on a red, white and blue background with a speedometer and racecar! When they see this, your guest will be ready to zoom over to your next event!